Innovative Marketing Resources is best known as the creator of the Content Marketer’s Blueprint™, the most successful inbound marketing strategy, ever. 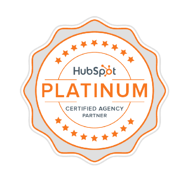 The CMB methodology has been taught to and used by hundreds of HubSpot agency partners including many of the most successful Gold and Platinum level partners. IMR believes position, positioning and buyer persona drives marketing strategy and that strategy drives tactics. Every client engagement is based on a unique Content Marketer’s Blueprint strategy, blending content marketing, web and graphic design, demand generation and HubSpot inbound marketing principles into customer success. In business since 1994, IMR is more than a marketing agency. IMR is part of a family of business-process service companies that include direct marketing, digital print and bindery, warehousing & logistics, eCommerce fulfillment, inbound marketing, database marketing and marketing analytics. Doing business with IMR creates the opportunity for long-term relationships where all the services necessary to brand, build and grow a business can be sourced and managed through one relationship. IMR specializes in marketing for higher education, financial services and business-to-business eCommerce. However, our clients range from small to enterprise-sized businesses across many industries and continents. What sets IMR apart is our process-driven marketing strategy methodology, commitment to in-house content creation, and our own marketing analytics and integration technology. Every client enjoys working with a dedicated team of inbound marketing-certified professionals, led by strategists who’ve run businesses in computer hardware, enterprise software, employee benefits, financial services, professional sports, printing and consumer services worth more than a billion dollars.